ALHCO - is a gas installation, maintenance and service provider. ALHCO service repair, install and replace gas, oil and LPG heating systems. Working for Landlords, Local Authorities, Housing Associations and Homeowners, ALHCO deliver a comprehensive, safe and cost efficient service to customers and communities across the UK. There is a high demand for these services in the UK. Earn 3p (£0.03) for each unique visitor you send to ALHCO. Bed and Bath Emporium - was founded on the principle that surrounding yourself with a luxurious environment should be something that is within everyone’s reach. Whether you are after a better nights sleep or a luxurious post-bath dry down our aim has been to curate a range of products that provide our customers with the very best experience for that price range at significant savings to RRP. We acheive this by; we have designed our processes and systems starting with a blank sheet of paper so our costs are low and more importantly we pass these savings on to customers; We are online only - no rent, rates or pension deficits to cover; We have a great range but we keep it simple - easier for customers and we can buy in bulk. Most orders are delivered within 2-3 working days. We have a 4.9/5 rating for service on Feefo and 4.8/5 for product. Commission - 8.5% on all sales inc vat. Bensons for Beds - Originally founded as a general store in 1950 by Cyril Bensons, our first bed centre concept opened in 1972. Today, Bensons operates predominantly as concessions on many of the UK's large retail parks, in high street stores such as selected Debenhams and we now have a growing number of stand alone bed superstores. Get 3% of sale value for up to 10 sales per month - 5% for 10+ sales each month - 7% for 20+ sales per month. Blaupunkt Tools - are the latest addition to the Blaupunkt family specialising in Garden and DIY Tools for the consumer. Large plans are made for the future building on the initial 8 products launched for the 2017 Spring Season and we are inviting affiliate partners to join us at this exciting time. We currently supply Lawnmowers, Hedge Trimmers, Grass Trimmers, Pole Saw and Cordless Multifunction Shears. Initial sales are growing fast and giving us great confidence with our higher value products proving especially popular. Being the only source of these products in the UK, we feel Blaupunkt Tools offer you a fantastic opportunity with little competition for sales. Commissions start at 4% and rise to 9% as your sales increase. Bloom faux flowers - can go where real flowers won't survive - bright sunlight, dim corners, draughty halls. Interior designers and decorators like to have a wardrobe of silk flower arrangements to bring out in their proper season. Orchids can be displayed all year round and are particularly good in offices where central heating fluctuations are death to real plants and flowers. Bathrooms are particularly unforgiving when it comes to keeping plants and flowers looking their best – the lack of light and a wide range of temperatures is enough to see off the hardiest plant. The beauty of a Bloom arrangement is that it looks good anywhere and will stay looking good for years to come. Earn 6% commission on New Customer Sales and 1% for Existing Customer Sales. Buy Decking Direct - The Buy Decking Direct team are committed to delivering a high level of customer service through its dedicated customer support team. We work closely with a national network of carriers to deliver our decking boards, deck kits, decking components, arbours, arches, pergolas and planters to your door.Earn 2% commission on 1-10 Sales per month and 3% commission for 11+ Sales per month. Buy Fencing Direct - At BuyFencingDirect we will offer you the best range of quality fencing products at competitive prices. Whilst our prices are shown clearly on the website, if you have a large order or will be likely to order from us on a regular basis then please give us a call as we are always happy to discuss bulk fencing discounts with you. We understand that your life is busy, so we offer a select a delivery day service on most of our fencing products to most areas in the UK. We work closely with UK based manufacturers to provide you with a product and service to be proud of. We aim to make your purchasing process as simple as possible, from finding the products you want on the website, to placing your order and it being delivered, but we are always available for any questions you may have, so feel free to give us a call and we will answer any fencing related queries you may have. Earn 2% commission on 1-10 Sales per month and 3% commission for 11+ Sales per month. 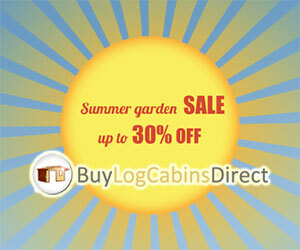 Buy Log Cabins Direct - Our original garden sheds and garden buildings website - Buy Sheds Direct, was launched in 2005 and due to its great success and customer demand for additional products such as Log Cabins, an additional specialist website Buy Log Cabins Direct was formed to complement the main website in 2011. We are a specialist log cabin retailer, offering the most popular sizes, designs and specifications, all priced with value in mind to beat the Credit Crunch, with most of our garden buildings offered BELOW the manufacturers suggested retail prices. We are able to offer these fantastic discounted prices due to the volumes of products that we buy in and the low overheads benefitted from e-commerce, allowing Buy Log Cabins Direct to specialize in bringing to you very cheapest, lowest cost log cabins available on the web whilst never scrimping on quality. Earn 2% commission on 1-10 Sales per month and 3% commission for 11+ Sales per month. Buy Sheds Direct - Welcome to Buy Sheds Direct. We are a leading UK retailer of garden sheds, garden buildings and associated products. Buy Sheds Direct have been successfully retailing online since 2005. We are a specialist garden building retailer, offering the most popular sizes, designs and specifications, all priced with value in mind to beat the Credit Crunch, with most of our garden buildings offered BELOW the manufacturers suggested retail prices. We are able to offer these fantastic discounted prices due to the high volumes of products that we buy in and the low overheads benefitted from e-commerce, allowing Buy sheds Direct to specialize in bringing to you very cheapest, lowest cost garden buildings available on the web (garden sheds, log cabins, garden storage, accessories, summerhouses, workshops and home offices) whilst never scrimping on quality. Earn 2% commission on 1-10 Sales per month and 3% commission for 11+ Sales per month. Cath Kidston - offers an extensive range of homewares, clothing, accessories, kidswear and outdoor products, as well as a distinctive home furnishings range. This season you can choose from Cath’s trademark floral linens to the more modern star and stripe repeats. By joining the Cath Kidston Ltd. Affiliate Program, you are partnering with one of Britain's leading and most loved designers. Cath Kidston is best known for her vintage inspired prints for the home. Cath Kidston Ltd. is one of the few truly original companies to come out of the home market in the last ten years, kick-starting the current trend for vintage chic. Cath Kidston Ltd. was founded in 1992 when Cath Kidston opened her first shop in Notting Hill. She started off selling old junk furniture and vintage fabrics, which sowed the seeds in creating her distinctive fabrics and product designs. The business has grown steadily since with an established fashion range. There are now nine shops in the UK, seven of which are based in London. Successful openings in New York and Los Angeles have led to wider global interest – with a new store just opened in Tokyo. Earn 5% commission on sales. Check out the Cath Kidston Dresses and Accessories shopfront. Chic Paradis High Gloss Furniture - Chic Paradis are specialists in modern high gloss furniture. We are dedicated to sourcing the best high gloss furniture and delivering it to customers at reasonable prices. Earn 3% commission on sales. Cromwell Tools & Building Supplies - has been a popular resource and household name for thousands of trade professionals in the UK. Apart from stocking any product and every brand, we pride ourselves by our customer service. We also ensure that we are very competitively priced through daily price checks against our competitors. Digital expansion, although neglected in the past, is a key focus for us in 2016. That means: right now is an excellent opportunity to join a quickly expanding organisation with exciting plans for the near future and a ‘can-do’ attitude to to requests from affiliate partners. Variable commission by vertical between 5% - 7.5% commission. Default is 5% of order total (excl. shipping). Deckchairs UK - sell traditional and non-traditional deckchairs and loungers. Our traditional wooden deckchair is perfect for summers on the beach or BBQs. Why not share a deckchair with the Wide Boy deckchair for two. A cosy and comfortable deckchair for sharing. We also sell deckchairs with arm rests which are great for extra comfort and ease of use. If you are looking for a complete garden range we also sell picnic tables and small stools to accompany your deckchairs or to take fishing or camping. Our deckchairs for sale are all of the highest quality and are made from hardwood from managed forests so are extremely environmentally friendly. Our affiliate program offers 10% commission when a customer is directed to our website who then goes on to purchase our products. Designers Guild - offers a broad range of luxury furnishings, fabrics and wall coverings as well as furniture, bed and bath and home accessories. The Designers Guild business philosophy is to combine creativity and innovation with the highest levels of quality: quality of design, product, service and people. Link to the Designers Guild shop now for fresh summer ideas – discover beautiful florals, and bold fresh colours to brighten every room in your home and – even the garden! – ready for the summer. Earn up to 12% commission on sales. Dizzy Duck Designs - is a UK producer of home decorating stencils that are sold worldwide. Dizzy Duck Designs have experienced consistent growth over 2016/17 with improved production and new cutting machines. We are investing in our future. Our stencils are made from high quality 190micron Mylar® polyester sheets. They are washable and reusable making stenciling a cost effective way to decorate. We put great emphasis on customer care and satisfaction and are always developing new designs. We will soon be adding stencil brushes and rollers to our product range. Our products are sold directly to the end users or with different bulk discount levels for trade/ wholesale purchases or through a dropshipping programme where other retailers can sell our products without holding stock. Our website is currently offing 10% discount on orders over £100 and 20% on orders over £200. Orders of these values are quite common giving affiliates a healthy commission. Our affiliate commission levels are very generous as we value high quality marketing. Default Commission Rates, Standard Purchase: 1+ sales per month; 5% of order value: 20+ sales per month; 7.5% of order value: 50+ sales per month; 10% of order value. Dotmaison.com - is an online Interior Homewares Store filled with a unique selection of breathtaking luxury home accessories for every area of your home. We focus on high quality home fashion brands to create an emporium filled with inspiring products, our aim being to help you to bring style and innovation to your home. Our brands include Calvin Klein Home, Hugo Boss Home, Ted Baker Home, Missoni Home, Tommy Hilfiger Home, Orla Kiely and many more. We are particularly renowned for our extensive selection of Luxury Bedding and Bed Linen where our brand list includes, amongst many others, Descamps, Yves Delorme, Alexandre Turpault, Nina Ricci and Olivier Desforges . In addition we have a passion for Scandanavian Design and through our careful selection of brands such as By Lassen, Kahler, Normann Copenhagen, Ferm Living , Stelton and Menu we aim to share the best of Scandanavian and Nordic design with you. Earn from 6% - 8% commission on sales. Easy Lighting - are a UK based lighting retailer with one of the largest ranges of lighting products online. East Lighting have been a well established business for many years offering a massive range of traditional, decorative and modern indoor and outdoor lighting, light fittings and lighting accessories. With over 5000 products available to buy online from EasyLighting.co.uk we are one of a few UK specialists of branded, high quality & low cost lighting products. Earn 10% commission on sales. Fencestore - retails a wide range of fencing panel packs, gate packs and accessories. The Fencestore web site is dedicated to the fencing sector alone, therefore as fencing specialists we intend to maintain a pure fencing focus to this venture. Our fencing panel products have two primary themes, firstly; traditional UK-manufactured fence panels like Waney-Edge, Closeboard and Palisade, and secondly; a European planed and decorative range. We provide a clear and stress-free checkout process, because all of our fencing panel and gate packs include a free UK mainland delivery service... No delivery surcharges here, the price you see is what you pay... VAT is included too. Earn 3% commission on 1-6 sales per month and 4% commission on 7+ sales per month. Furniture@Work - One of the Largest Collections of Office Furniture in the UK. Stocked with essentials for your office, school or any other place of work. We offer office chairs, office desks, filing cabinets, storage, reception furniture, tables, school furniture, display & presentation. All of these items at unbelievable value, with free delivery to mainland UK and price matching! Instant credit available for all schools and public sectors. Earn 8% commission on sales. 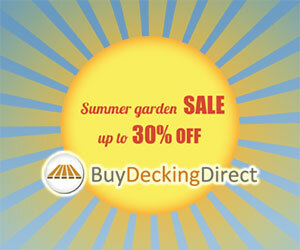 Gardening Direct - offers a fantastic range of great value, top quality plants, delivered direct to your door. Fantastic product range: Bedding Plants Perennial plants, bulbs bare roots Jumbo established plants Vegetable seeds Hardware. Be a part of this programme and earn up to 10% commission! Gardens and Homes Direct - are one of the UK’s leading suppliers of quality furniture and accessories for the garden and home. Customers benefit from very competitive pricing, excellent customer services 24 hours a day 7 days a week, 30 day guarantee on all products and free delivery on all purchases over £50. The average order value is over £100.00. Gardens and Homes Direct are offering affiliates on a 30 day cookie, the following tiered commission structure: Up to 1000 sales: 5% commission; 1000 + sales: 6% commission. Graham and Green - opened its first shop in London back in 1974. Founder Antonia Graham has a passion for travel she continues to scour the globe to find decorative home accessories. Son Jamie, the brands Creative Director has inherited her fantastic eye for design and his love of 1930s, 40s and 50s style is a rich source of inspiration for their furniture collections. Today, Graham and Green have 6 stores in London and a strong online presence. Their extensive range of furniture, mirrors, lighting and home accessories covers a range of price points, attracting continued loyalty and aspiration purchases. There is a genuine love for this brand and what they offer which makes them an ideal partner companies for many types of affiliate. earn 6% commission on sales. Great Little Garden - Whether you’re looking for a new workshop to escape from the kids or a new decking area for relaxing and entertaining on those hot summer days, we have products to suit everyone’s gardening needs. We also believe that enjoying your garden shouldn’t cost the earth, so we strive to offer some of the best prices on the internet whilst retaining our supreme level of quality. 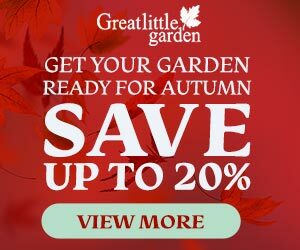 Born in 2005, Great Little Garden has been a key player in the online gardening market, constantly seeking out new product innovations to make gardening easier for you. Our mission is simple; we want to be the industry leader, setting the standard in customer service and product variety for you, whilst retaining our competitive prices. Earn 2% commission on 1-10 sales per month and 3% commission on 11+ sales per month. Greenfingers - is one of the UK's leading internet and mail order garden companies, with a fantastic range of inspiring products and gifts for garden lovers. Launched in April 2000, Greenfingers has won the inaugural Website of the Year award from the Garden Writer's Guild and was recently rated in the top five websites evaluated in an independent report by the Javelin Consultancy. If you have a website, you can earn money by becoming a Greenfingers.com affiliate. Greenfingers will pay 10% commission on all sales generated from your site including. The combination of the generous 10% commission terms and the high average spend of Greenfingers.com customers make Greenfingers.com the most profitable garden partner for your website! Groves Nursery - is a fast growing plant, garden supplies and garden furniture supplier based in Dorset and shipping nationwide. The nursery has been running for over a hundred years and continues to grow. We offer - Plants, flowers, trees, seeds, garden furniture, BBQ's, garden lighting, garden buildings and other gardening supplies. We are constantly growing and expanding the website with new offers, products and regular content updates and CRO. Free shipping on orders over £50. Earn 10% commission on sales. Holloways of Ludlow - are a leading supplier of quality fixtures and fittings for homes and commercial projects. Our range is second to none and we are renowned for the quality of our products and designs. We have five main product areas; Lighting: Holloways of Ludlow are one of the Uk's leading lighting retailers. We represent all of the main international brands plus a huge range of smaller, innovative designers. Bathroom fittings & radiators: We offer bathroom fittings from all leading bathroom and radiator manufacturers. Home accessories: Our new range of home accessories continues to grow offering beautiful, carefully selcted products from around the world. Kitchen fittings: We offer a carefully slected range of kitchen sinks and taps from the very best designers in the world. Ironmongery: Our range of traditional and contemporary ironmongery provides the perfect finishing touch to any project. Default Commission Rates, Standard Purchase: 1+ sales value per month - 8% of order value; 2000.00+ sales value per month - 9% of order value; 4000.00+ sales value per month - 10% of order value. Hudson Reed - For over 12 years, Hudson Reed have been providing luxury bathroom products at desirable prices so you can create a look you'll love at an affordable cost. The Hudson Reed product range spans showers, faucets, accessories and designer radiators - all available in modern and traditional styles to suit any taste. Earn 4% commission on sales. India Jane - are a luxury home interiors company that specialises in originality. We are a British luxury interiors brand dedicated to delivering originality. We offer diverse ranges of furniture and home interiors accessories alongside an extensive collection of lighting. Our range is constantly updated with exciting new additions and evolves around our central theme of timeless elegance, whilst our design team in London draw inspiration from the India Jane archive of original Colonial and Classical European collections - we are sure that you will find many essential new additions to your home. The first India Jane retail store opened in Hampstead in 1991 followed by Sloane Street in 1992 and the first Kings Road store in 1994. With established roots in Chelsea, we opened on Kensington High Street in 2007 and a second Kings Road store in January 2010. Spreading further afield, Our Bath and Marlow stores followed in 2012 & 2015. Spring 2016 saw the exciting relocation of our Kensington store, moving to a larger premises at 130 Kensington High Street. From our extensive distribution centre in West London we supply the Interiors retail trade throughout the UK and Ireland and have a network of over 400 stockists who stock a selection of the India Jane range. Earn 6% commission on sales. La Redoute - As France's No. 1 fashion collection, everything you see at La Redoute will have that touch of chic French style about it. A couple of clicks is all it takes to find what you're looking for! La Redoute offers an extensive collection of women’s fashion with everything from exclusive ranges by celebrated international designers to great value, plain white T-shirts. La Redoute don't just cater for women - your family and home can enjoy la différence too. Mums will love our adorable baby wear and childrenswear, and even fashion-conscious teens will be satisfied with great brands like Tipster, Adidas and Nike. Men get the French style treatment too with smart and casual wear. La Redoute also offer a large range of homeware to dress each room in the relaxed style of the continent. La Redoute regularly update creative and text links, and provide information on forthcoming promotions and seasonal events. La Redoute also provide a regularly updated product feed for all lines including womenswear, menswear, lingerie, childrenswear and homeware. Earn 5% commission on sales. Laura Ashley - is one of the worlds best loved lifestyle brands, producing the finest seasonal collections for home & fashion. From our humble beginnings, when Laura and Bernard Ashley started printing fabric on their kitchen table in 1953, Laura Ashley has grown into a hugely successful business. All Laura Ashley womenswear and home products are available through www.lauraashley.com. • 6% commission on confirmed sales only The commission is not payable for licensed products, gift vouchers/cards, design services, made to measure curtains & blinds and does not include delivery charges • £423 average order value for the affiliate channel • High conversion rates • 30 day cookie to ensure that your sales are rewarded • Great discounts and incentives run regularly • Additional incentives for high performing affiliates We want you to be successful, so we’ll run frequent promotions to encourage greater conversions. Laybrook - are the UK's leading manufacturers of electric adjustable beds. This enables them to offer unbeatable value for money and include every possible accessory for the less able. They pride themselves in offering excellent customer service and a truly bespoke service to every customer. This is evident with their full UK mainland delivery and installation service which is carried out by trained engineers and is accompanied by the best guarantees in the industry. They offer a huge range of adjustable beds for the less mobile or disabled whether young or old, made to measure and with a 7 day free home trial on most products. They also offer a variety of other care accessories such as commodes and mobility aids. Earn 10% commission on sales. Leekes - The great thing about Leekes is the choice of hundreds of beautiful sofas, dining tables, beds and bedroom furniture. Or perhaps it’s our expert Interior Design buyers who have created ranges of textiles, wallpapers and home accessories. Maybe it's our selection of electrical products at competitive prices or our unique Casa range of beautiful pieces for every room in the home and garden. We've hundreds of branded and own brand items in tableware, electrical appliances and cookshop, or check out our garden and outdoor living departments for the accessories that complete your space. That’s the great thing about Leekes. You’re home. Affiliates can earn between 5% and 6% commissions Regular interest free credit promotions Regular Sale activity with even deeper savings on already competitive prices Wide demographic appeal Contemporary and classic ranges Furniture has high res zoomable images Free carriage over £50, £6 for orders under £50 for one man delivery, just £35 (max charge, NOT per item!) for specialist delivery of large or fragile items across mainland UK. Earn up to 6% commission with the Leekes Affiliate Scheme Leekes is a leading in the UK regional department store, with a turnover last year in excess of £60m. lovdock UK - lovdock.com is one of the integrated home & garden online stores based in China, offering various furniture, garden supplies, safety & security equipment, outdoor& sporting products for worldwide families. Earn 6 - 8% commission on sales. Mapsinternational.co.uk - is a fast growing online map shop. We produce and sell the best selling world wall map along with a large range of other wall maps. We also hold a number of different travel map titles with hundreds of destinations as well as a range of gift products such as globes, atlases etc. Basically there's something on mapsinternational.co.uk for everyone. There's a large range of products and prices for business customers and consumers. Maps International has a great reputation for top quality products, very competitive prices and the best customer service. We'll pay 6% commission.